Liberate actively seeks reform in these and other areas of legislation and policy through dialogue with government and departments. 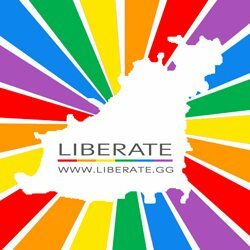 Liberate believes that one day we will all be treated equally under the law, no matter what our gender, race, religious belief, disability, sexual orientation or gender identity. There are many benefits to an inclusive society. Laws which tackle discrimination send out a clear signal that discrimination is not acceptable. It protects those who are otherwise vulnerable, as it makes them feel valued and that they make a contribution to the fabric of our society. Furthermore it promotes their mental and physical wellbeing. Statistically, LGBTQ people are recognised to be twice as at risk of self harm, substance misuse, depression, anxiety or suicidal feelings. This can be due to discrimination, rejection and/or isolation, within their immediate circle of family and friends, bullying or harassment at school or in the workplace, rejection by faith communities, etc. By adopting such laws and policies which challenge discrimination, a society helps to reduce that risk. Until LGBTQ people receive those same rights and freedoms, they will remain second class citizens.